The living room shakes with the resounding bass notes of “Ode to Joy,” followed closely by chiming stops on “Jingle Bells” and an often-rehearsed rendition of “Part of Your World” from Disney’s The Little Mermaid. I stop to listen to my daughter play the last one on our home organ, remembering the seven months the music book sat open to “Part of Your World” awaiting her return. On October 7, 2011, we put fourteen-year-old Clarize on the plane back to the Philippines after the month-long hosting program offered by Hand In Hand International Adoptions in Albion, IN. It had been an incredible month learning what it meant to be a family of seven. Our four young children, then aged six months to six years, loved Clarize from the day she arrived. By two weeks in, we knew that we would be family forever. But, piles of paperwork remained, and her visitor’s visa was only for thirty days. So, back she went, and home we went, and even an ice-cream trip to console our younger children was not enough to raise the mood after the airport farewell. I walked past our now-silent organ, and saw that she had left her music open to “Part of Your World.” I left it up for the next seven months of paperwork processing, a quiet reminder that on the other side of the world our daughter was waiting for us. 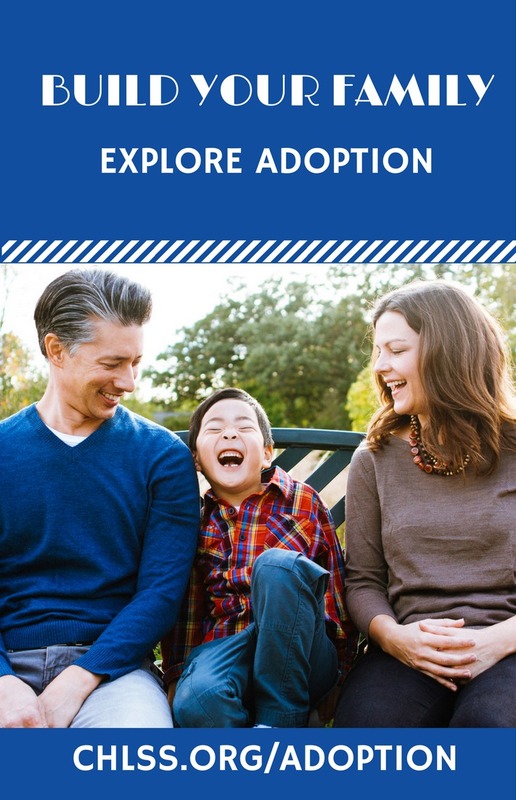 Our path to adopting not just an “older child”—usually defined as any child over the age of four—but a teenager was not one that we had planned. In fact, when I first ran across Hand In Hand’s hosting program, I was imminently due with our fourth child and had a busy home including toddlers doubled in 2010 when we adopted our youngest son from Korea at seventeen months. As I was told by strangers in practically every grocery store, our hands were full—beautifully full. I remember thinking that the hosting program was a wonderful idea, and then bookmarked it and forgot about it. In April 2011, with a four-week-old newborn in arms, I ran across Hand In Hand’s hosting list. The short descriptions of the teenagers caught my eye. They were Catholic, like us, raised with Christian values by nuns, polite with adults, and kind to children. I found myself thinking, “Why not?” Why not bring a teenager—or two!—into our home? My parents had adopted two of my eight siblings, and my younger siblings were still teenagers or younger, so the thought of parenting teens seemed manageable. During our first adoption, I had researched extensively about birth order and adoption, and I knew an older girl would not likely be in competition with our far younger children, yet probably would still enjoy having little siblings. We were barely old enough to make the age-gap cutoff for a teenager, and I thought there was little chance that my husband, Hand In Hand, and the InterCountry Adoption Board (ICAB) in the Philippines would approve a family with an infant anyway, but thought I would proceed until thwarted. When I brought up hosting, my husband said it was worth thinking about, and I glanced over his shoulder a couple of days later to see him pricing tickets to the Philippines. So, that was a “yes.” The Hand In Hand Philippines program director, Vickie Truelove, knew we were experienced not just as adoptive parents, but, in my case, as a sibling of adopted children. So, the agency answer was “yes.” ICAB reviewed our profiles and said, “Yes.” We were eligible to adopt a teen from their country—but not just any teen. They wanted us to host Clarize specifically. Later we would meet the nun and member of ICAB, Sr. Corrie, who matched her with us and, with the other sisters, prayed through the hosting period that we would be the family for their much-loved daughter. We did not yet know about the team of praying nuns preparing Clarize for her trip. We spent the summer studying every detail in her extensive child reports, chasing paper upon paper to be ready to adopt her, and in my case, nesting every bit as much as with my other children. We put together a photo album with captions explaining who we were and where she would be visiting. We were delighted that the program director, Vickie, was able to hand-deliver it to her while attending a conference in the Philippines. Clarize was part of a group of children who performed a celebration dance at the conference. Vickie came back telling us that Clarize was very excited and very talented. “I think you’ll be impressed!” she said. So, it was with nerves and anticipation that we met her at the airport in September 2011. Our children literally took her by the hand from there. As she walked into our home for the first time, she gasped at the sight of our old church organ and dropped everything to admire it before giving in to the children’s insistence that she see her room. The next two weeks were a learning experience, fun and sometimes a bit awkward, as we got to know each other and learned little things like to cook much, much, MUCH more rice and never, ever to offer her dill relish. We could see that our children loved her, but we were not sure if she wanted to stay. Would she want to be big sister to a posse of youngsters? According to a very sensible ICAB rule, children over the age of ten must consent to be adopted. So, we pondered how it might or might not work out—and waited. Clarize had been escorted by Kathy, a member of ICAB. When Kathy visited our home, she conversed with Clarize in Tagalog and informed us that Clarize had told her, without being asked, that she wanted to stay. That moment stays in my memory alongside the memories of holding my biological children for the first time. We had a daughter. We took Clarize to see her new great-grandpa, and noticed her interest in the old family pictures. 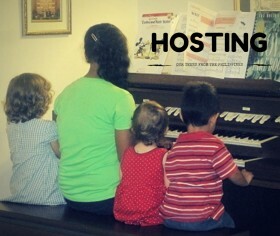 She was joining not just parents, but a whole extended family of aunts, uncles and cousins. And, of course, we all laughed as she held up one of Grandpa’s vinyl records with a puzzled, “What’s this?” The intermix of cultural influences was a daily adventure. When she expressed surprise that I knew how to drive a vehicle, we explained that most people do drive here. Then we were surprised ourselves when she sang every single word of a Taylor Swift song. Who knew that she listened to Country? By the end of the visit, we realized that we could barely remember what it was like before she arrived. The music, laughter, and activity that she brought to the family would be sorely missed—and so they were. That first summer back with Clarize, we could not forget the many loving children who crowded around to give one more hug goodbye to “Ate (big sister) Clarize.” We also could see that Clarize would enjoy another sibling closer in age to her. We had not planned to adopt again right away, but in November 2012, Clarize’s friend Adrian, then 12, showed up on the waiting child list. I did not remember seeing Adrian, but Clarize simply said, “He was the one who sang LOUD!” I immediately remembered his voice from a few seats behind us at the entrustment. We got back on the hosting list, and started the paperwork to bring him home on the same home study and immigration approval, since neither had yet expired. In July 2013, we eagerly waited at the airport for Adrian’s late flight to come in. This time it seemed like we already knew him because of all the stories Clarize had told us about her years growing up with him in the Hospicio, and Adrian and Clarize reunited with the familiarity of brother and sister. Adrian was already teaching our younger children Tagalog by the time we reached home, where we had an impromptu party for his 13th birthday. The next morning I glanced out to see Adrian with an arm around two little siblings, reading them a storybook. That moment I knew my little children had the big brother they so eagerly anticipated—and we had a son. During the month that followed, I jotted down some favorite memories: His quick decision to call us Mom and Dad; his first bike ride with Dad; his dash across the library to retrieve his gleefully escaping toddler sister, and even his house-shaking leap over the childproof gate that told us his shyness had worn off! Again it was difficult to have to send Adrian back at the end of the hosting period, and we looked forward to hearing his lively Tagalog conversations with Clarize and his basketball bouncing outside. We brought Adrian home from the Hospicio in early 2014, about six months after the end of hosting. Our life since coming home has been all we hoped it would be. Yes, we have typical teen parenting challenges, but Clarize and Adrian both were well prepared for adoption; their schooling has progressed well, and their English has developed rapidly since they had studied it in school in the Philippines. They also found a good fit with our church life, which provides a link between their past and present. We thoroughly enjoy every moment of seeing our teens experience their new world, from their admiration of fireflies, to their literal shock at discovering static electricity, to their exclamations over the first smiles of their new baby sister. As we sit of an evening watching our younger children dancing joyfully while our teens play duets on the organ, we know we are very blessed to be part of their world. Have you considered hosting and adopting an older child? Are you the family for some of the children still waiting in the Philippines? Contact Hand In Hand International Adoptions at 260-636-3566 or Indiana@hihiadopt.org, or visit www.KidsWait.org to find out more.